Blending the complex harmonies of The Beach Boys with the gritty aesthetics of the new millennium's bedroom pop, Sunglasses add a new chapter to the Brooklyn DIY scene - which they recently embraced after moving from Savannah, GA. 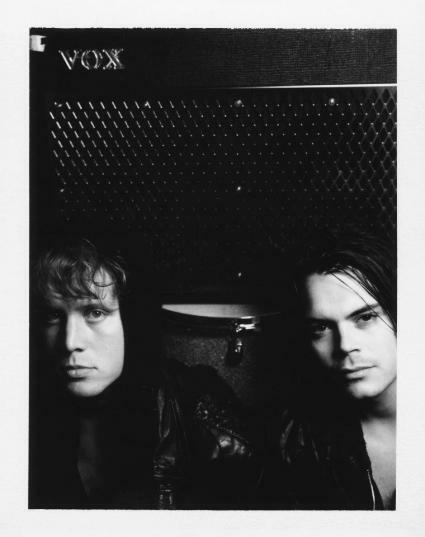 Whereas most current Brooklyn bands have a tendency to flirt with the decadent, self-indulgent atmospheres of the East Coast and European bands of the '60s and '70s, the duo's debut full length "Wildlife" is a collection of sunny and eclectic pop songs whose melodies quite unexpectedly flirt with jazz and lounge without sounding like either. The background is a kaleidoscopic accumulation of sounds that could be described as brilliantly organized chaos - a production style we also appreciated on Foxygen's latest record, and that can be traced back to the Beck-Animal Collective "influenceology tree" - but a chaos that works with the upbeat songwriting to create a super-fun party atmosphere. If Sunglasses are able to recreate this atmosphere on a stage, they might have a brilliant career ahead of them. I guess we'll find out tonight at Glasslands, when they'll be celebrating the release of "Wildlife."